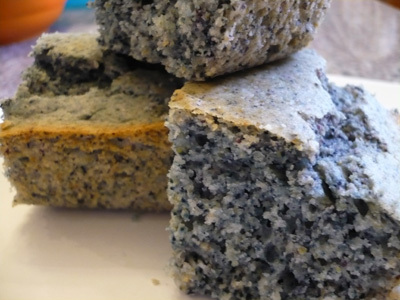 Now, last week it was chocolate in chili, and this week we’re talking blue cornbread? Really? Well, yes. And it’s actually quite good. It’s another of those recipes that weren’t handed down from Grandmom to me, but it’s still special. And really quite delicious. And just a bit different. 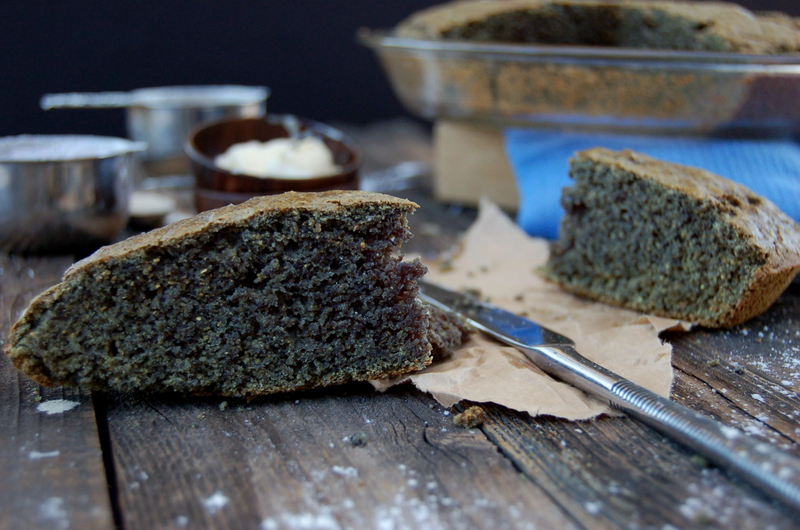 It’s not your everyday typical cornbread recipe. Which is why I like it, because if I’m forced to cook, I don’t like to make ordinary items. I want them to be memorable enough for someone to ask for the recipe. Whether they really want it or not. Maybe they’re just being polite, but that’s fine. As long as they don’t tell me that’s the only reason they asked! So if you’re adventurous, or really want to try something new and different, give this one a try. Note: This recipe calls for buttermilk, and if you’re like me, you don’t want to buy a whole carton of buttermilk just to use a cup, so you can substitute 1 c. milk plus 1 tbl. vinegar mixed together. Let it sit for 10 minutes before adding it to the mixture. Bake in preheated 425 degree oven 20-25 minutes or until toothpick comes out clean. Cool for a few minutes and cut into squares, and serve warm with butter. You can also heat it up in the microwave later and it will still be good!